How do you like your eggs? Sunnyside up? Poached? Kayaking? Climbing? What?! US mum-to-be Shirley Sirivong was put on complete bed rest and a very strict, special diet after being diagnosed with gestational diabetes, placenta praevia and an incompetent cervix. Have you ever known a ‘strict’ diet to be tasty and exciting? Neither has Shirley – her breakfasts were limited to egg whites, wheat bread, peanut butter and a few fruits and vegetables. 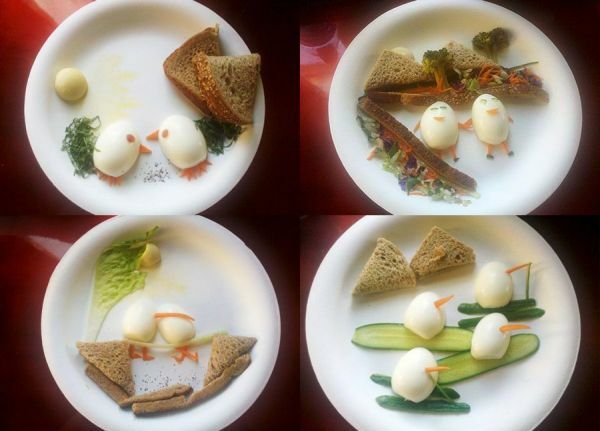 To liven up the dull offerings, her husband Gat began creating funny faces with the boiled eggs and toast. 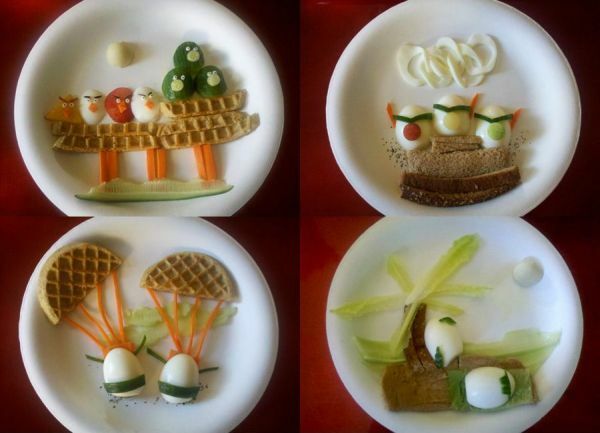 The breakfast scenes became more elaborate with egg characters parachuting, kayaking, snorkelling and winning Olympic medals. I barely have time to butter toast in the morning but I know this is the sort of the thing that even if I only did it once, my kids would talk about it for months. Hmm – perhaps eggs playing cricket? More breakfast inspiration can be found here.